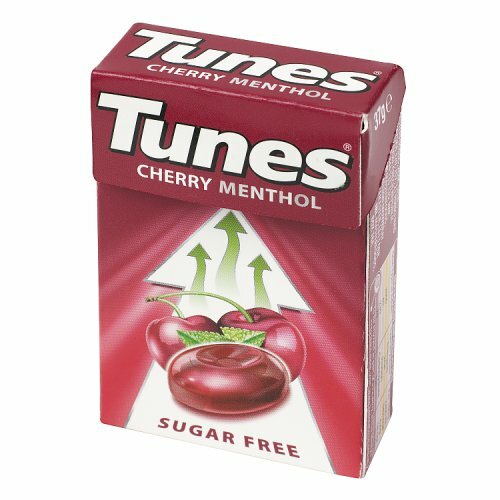 If you have a sore throat, stuffy nose and a muddled head then reach for a Tunes Cherry Menthol sweet! They also help rid you of that tickle in your throat. They are sugar-free and do not contain any medication, yet taste fantastic and really help to clear a blocked nose. 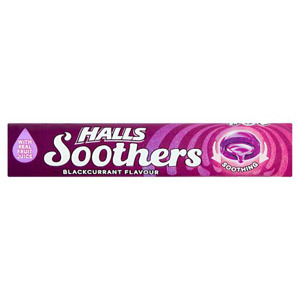 Tunes also contain soothing menthol and vitamin C, to help you recover and get back on your feet in no time! Most popular with customers in Italy, Spain, Netherlands, Denmark, Turkey, Switzerland, Korea Republic of and Germany, but you can buy Tunes Cherry for delivery worldwide. One of our Tunes branded products. May Contain Milk, May Contain Soya. Sweeteners Isomalt, Sucralose, Citric Acid, Flavourings, Concentrated Cherry Juice, Ascorbic Acid (Vitamin C), Colour E163. Be the first to write a review about Tunes Cherry. Would you like to write a review for Tunes Cherry?